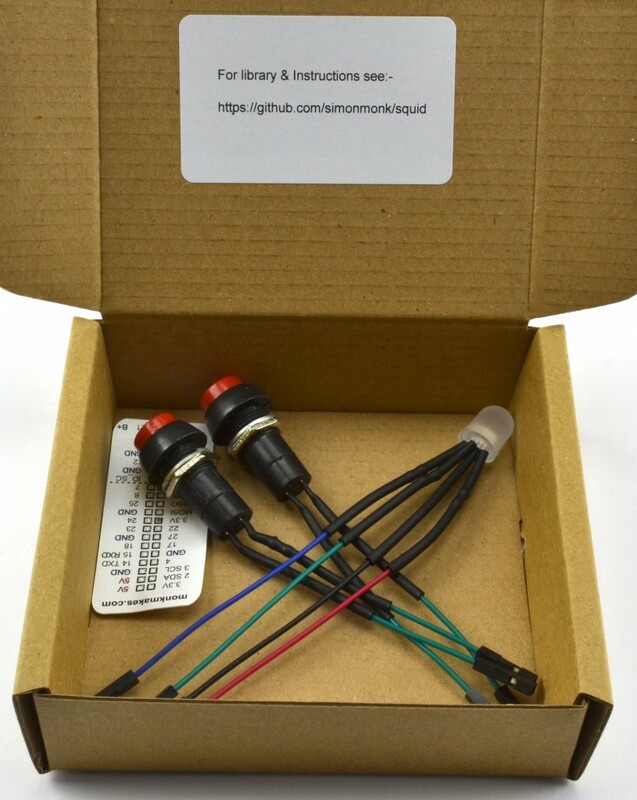 The Squid Combo Pack comprises a Raspberry Squid RGB LED, two Squid buttons and a Raspberry leaf to help you identify the GPIO pins. 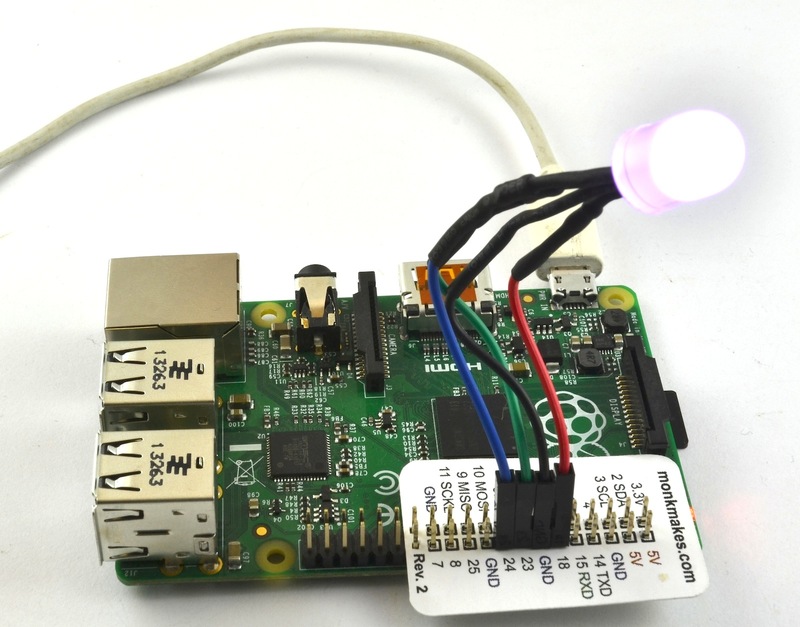 A bright RGB (Red, Green, Blue) LED with built-in resistors and female header leads that can just plug directly into the GPIO pins of a Raspberry Pi. You can also find a Python library that makes the Raspberry Squid super-easy to use at: https://github.com/simonmonk/squid. The library also includes switch debouncing software for the Squid Buttons.